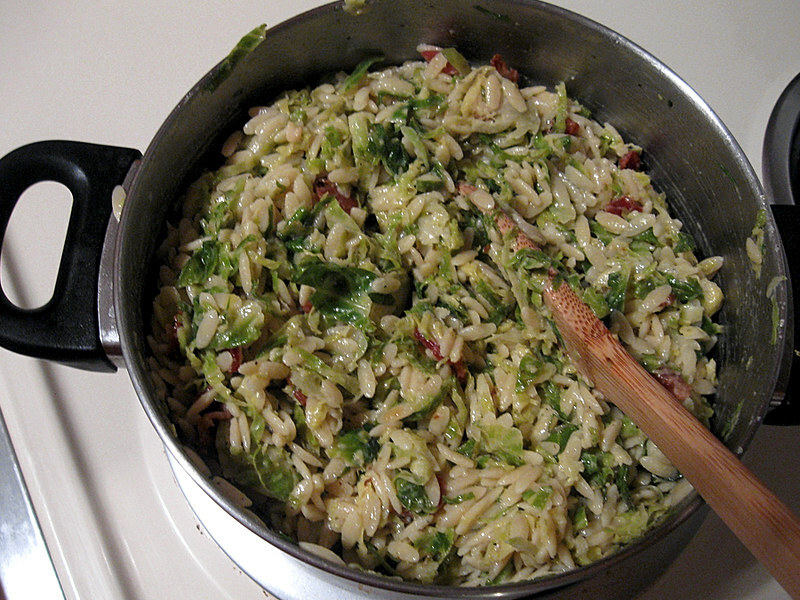 I posted my recipe for Orzo with Brussels Sprouts and Bacon over at Between Three Kitchens today! For all you new readers, Between Three Kitchens is a food blog I write sporadically with a few of my friends. Some friends and family members wanted to be able to share my recipes with their co-workers and associates without sharing the personal side of my blog, so I created Between Three Kitchens as an alternate place to post recipes. Feel free to follow B3K, or if you don't want to add yet another blog to your reader, don't fret! I'll always update here about any new posts that go up over there.